The city of Eugene is opening the streets to everyone but cars this Sunday in two large portions of south Eugene. There will be two loops for non-car traffic only. The south loop runs from 27th to 24th between Hilyard to Potter streets, and the northern loop is from 24th to 19th between University and Agate streets. “One of the big reasons that we do this is to try and get more people to walk and bike, and so the more people we can get to come out and try it in a really safe environment like Sunday Streets, the easier it is for us to get them out to the new things we’re building” says Transportation Options Coordinator and SEN VP Lindsay Selser. Starting at noon, Washburne, University and Amazon parks will all be hubs for outdoor activities like free yoga , hula hoop class, bike registration with the Eugene Police, slacklining, and helmet decorating. 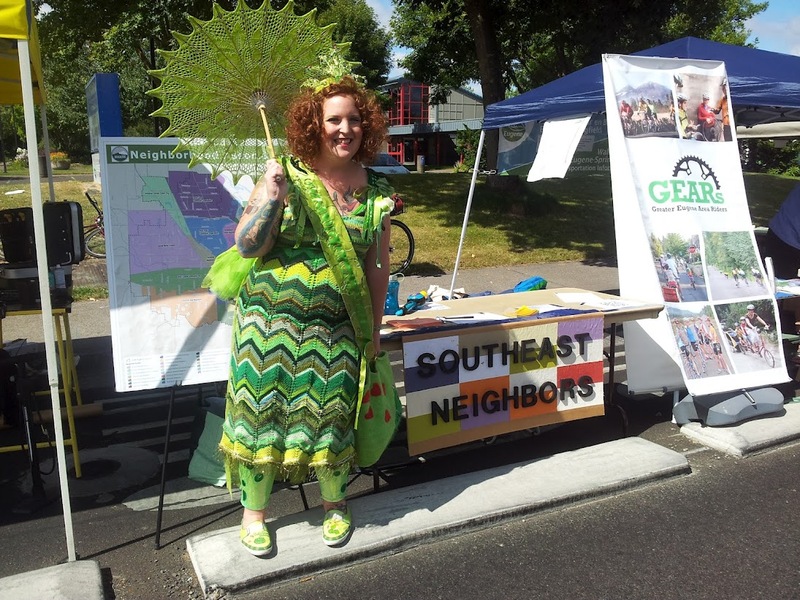 Southeast Neighbors is hosting an information booth from noon to 4pm to reach out to neighbors about our organization and promote the upcoming picnic. You’ll find us at Amazon Park at Hilyard and 25th. Stop by and say hi and let us know what neighborhood issues are most important to you right now. The event is designed to connect the Fairmount, South University and Amazon neighborhoods. People who live in those neighborhoods are asked to postpone their driving until after 4 p.m. when the event wraps up. However, if you need to drive, the city will have intersections open to give people access to their homes and businesses if need be. Please visit www.eugenesundaystreets.org for more details. September 7, 2012 in Community Events.